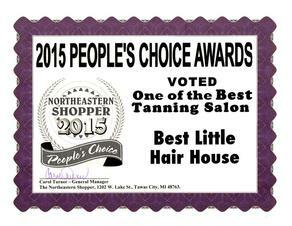 As the Owner, and a Stylist of Best Little Hair House in Tawas, I take great pride in all of my employees, every service and all products offered here. It is my job to ensure all clients are highly satisfied and I am happy to do so! 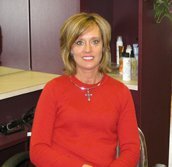 I have over 10 years of experience here at Best Little Hair House in Tawas. I specialize in both hair and nails. I love working with color and providing clients with new ideas and looks. 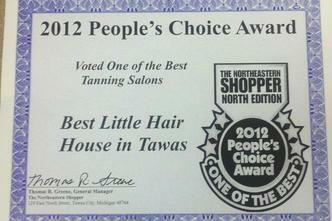 I take pride in my job and I have been working for Best Little Hair House in Tawas for more than 6 years. 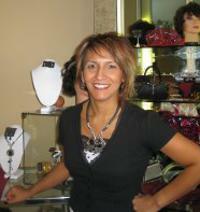 I am qualified in many of the salon services so give me a call and schedule an appointment Today! We Love to Hear & Share your feedback about our Staff and/or Services! have you as a client. Please call for an appointment anytime! 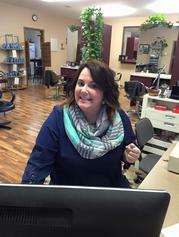 Kathy Forcier works part time as our Receptionist and keeps the salon looking great! Whenever she can, Abigail comes in to work at the salon She's a great helper!